We know, it goes against all your better judgment and years of finely honed automobile identification expertise, but we're prepared to shock you with the knowledge that this vehicle is in fact not a Ferrari. Yes, it's true. This vehicle was not born in the Italian countryside, and its owner does drink deeply from the fine tradition of race-honed thoroughbreds. 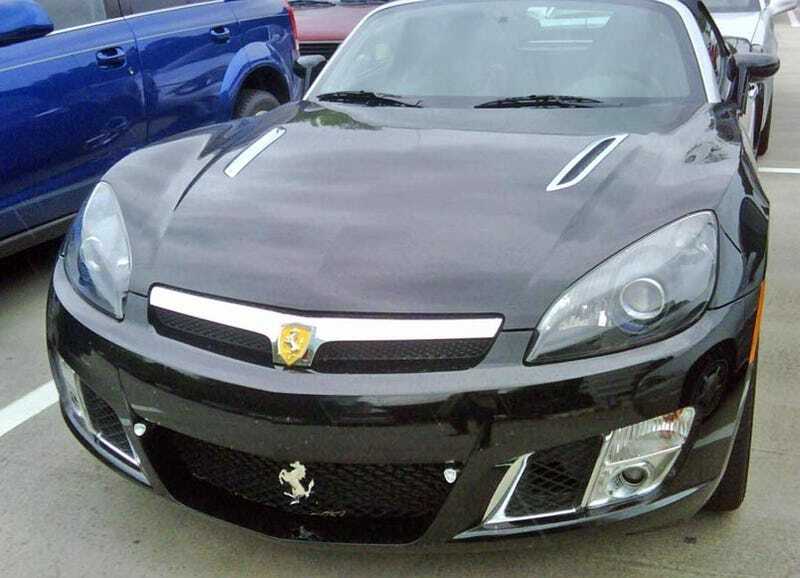 This car is in fact a Saturn Sky.